Discovery Camp Catalog 2019 – CLICK HERE!!! Get ready for a week filled with fun and adventure in the great outdoors! The North Carolina Arboretum’s summer Discovery Camp programs are based on the philosophy that young people benefit from experiences in the outdoors. It is the mission of the Arboretum’s dedicated and experienced Discovery Camp educators to cultivate a sense of adventure and wonder in the outdoors, foster an enthusiasm for exploration in the natural world and promote environmental awareness, stewardship and conservation. 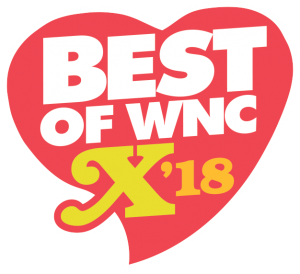 We’re proud to have been rated one of the top Nature Camps by Mountain Xpress’ “Best of WNC” awards for five years running! For more information about the Discovery Camp program, contact Michelle Pearce, Youth Education Coordinator, at 828-665-2492 ext. 624.